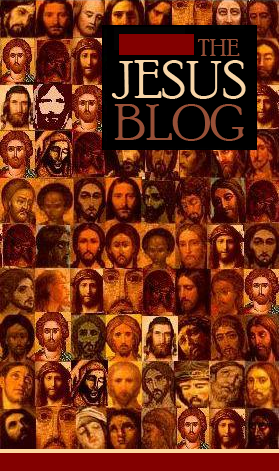 The subject of the Testimonium Flavianium, the brief passage about Jesus found in the manuscripts of Josephus’ Antiquities 18.63-64, came up on this blog not long ago in Larry Behrendt’s guest post on Reza Aslan’s much-discussed book Zealot: The Life and Times of Jesus of Nazareth from July 24. Behrendt criticizes Aslan for dismissing the Testimonium as a source for information about the historical Jesus and labeling scholarly attempts to “cull through” the extant text for a sliver of information “futile.” Behrendt writes: ‘To say that such “culling through” is impossible badly misrepresents the current opinion of most scholars.’ He points out that John Meier’s reconstruction is accepted by at least some respected scholars, including Raymond Brown and Bart Ehrman. Behrendt’s criticisms of Aslan’s position on the Testimonium are not entirely clear on some points. On the one hand, Behrendt allows that it is not beyond the pale to dismiss the passage entirely, but then he criticizes Aslan for dismissing scholars’ hypothetical reconstructions of the “original” text. Further, Aslan is clearly stating his own opinion and makes no claim to be in agreement with, or to be representing, the current opinion of most scholars. Aslan acknowledges that scholars do attempt to extract historical information from the Testimonium, but considers their attempts futile. I could be wrong here, but if I may attempt to extrapolate a bit, I think the basis of Behrendt’s criticism is the reasonable principle that one should not dismiss a widely held scholarly opinion without giving a reasoned defense of one’s position - and Aslan did not do this. The theory of Eusebian authorship has been criticized by James Carleton Paget (2001) and dismissed by Alice Whealey (2007), but has now also been advocated by Louis Feldman. In his 2012 review article on the Testimonium, Feldman comes to the conclusion that Eusebius is likely to be the author of the extant text: “In conclusion, there is reason to think that a Christian such as Eusebius would have sought to portray Josephus as more favorably disposed toward Jesus and may well have interpolated such a statement as that which is found in the Testimonium Flavianum.” (p. 28). More recently, I’ve published another paper, “A Eusebian Reading of the Testimonium Flavianum,” in which I’ve tried to bring out more clearly what the text means in the context of Eusebius work and what his purpose was in writing it. many Jews and also many from the Gentiles. This one was the Christ. day the tribe of Christians, named after him, has not failed. In Jesus Outside the New Testament, Robert Van Voorst draws together six arguments from internal evidence that scholars have commonly given in support of the theory that the text of the Testimonium has an authentic Josephan core. I’ve chosen to use Van Voorst here because I think, with the possible exception of his fifth point, he has given a reasonably good representation of the common scholarly arguments. 1) The passage calls Jesus a “wise man,” which while complimentary is not what one might expect a Christian interpolation to say, because the label was not at all a common Christian one. 2) That Jesus is said to have been a “worker of amazing deeds” (paradoxōn ergōn poiētēs) may be a positive statement, but the wording is not likely to come from a Christian. The phrase “amazing deeds” is itself ambiguous; it can also be translated “startling/controversial deeds,” and the whole sentence can be read to mean simply that Jesus had a reputation as a wonder-worker. 3) According to the passage, Jesus was a teacher of people who accept the truth with pleasure.” Christian writers generally avoid a positive use of the word “pleasure” (hēdonē), with its connotation of Hedonism. 4) The statement that Jesus won over “both Jews and Greeks” represents a misunderstanding perhaps found among non-Christians like Lucian. However, anyone remotely familiar with the Gospel tradition knows that Jesus did not win over “many Greeks” to his movement, even though “Greeks” here means Gentiles. 5) The sentence “Those who had first loved him did not cease [doing so]” is characteristically Josephan in style, and points to the continuance of Christianity after the death of its founder. It implies that the love of Jesus’ followers for him, not Jesus’ resurrection appearances to them, was the basis for Christianity’s continuance. 6) Calling Christians a “tribe” (phylon) would also be unusual for a Christian scribe; a follower of a missionizing faith would be uncomfortable with the more narrow particularistic implications of the word. [All quoted from Van Voorst, Jesus Outside the New Testament (2000) pp. 89-90]. Every one of the six premises Van Voorst gives is wrong. Or, rather, they would be wrong except that the qualified way they are stated (in terms of what is usual, general or common) allows them to accommodate an unspecified number of exceptions. But if such exceptions are made, the reasons lose their force. Eusebius of Caesarea is an exception to each case. 1) Eusebius calls Jesus (identified as “our Savior and Lord”) a wise man (sophos anēr) in the Prophetic Eclogues (PG 22, 1129), which shows at least he has no aversion to applying the term to Christ. In the particular context of the Testimonium, however, Eusebius is most probably responding to pagan claims made by the philosopher Porphyry and the oracles of Apollo and Hecate that Jesus was a “wise man” who had mistakenly been taken to be a god by the Christians. The Christian response to this, as found also in Augustine’s City of God 19.23 and Lactantius’ Divine Institutes 4.13.11-17 was to allow that the oracles may have spoken the truth insofar as saying that Christ was a wise man, but to insist that he was far more than that. 2) The wording “worker of amazing deeds” (paradoxōn ergōn poiētēs) is found only in the Testimonium in the works of Josephus, but occurs several times elsewhere in Eusebius works to describe Christ or God. The claim that the phrase is “ambiguous” points to a larger problem of interpretation. The phrase “worker of amazing deeds” might sound ambiguous to modern interpreters who imagine it coming from the non-Christian Jew Josephus. But the same interpreters probably would not find the phrase so ambiguous when Eusebius applies it to the Logos of God in the Ecclesiastical History 1.2.23 or to God in the Life of Constantine 1.18.2. Eusebius certainly did not avoid using the term out of fear that it could be misinterpreted (is there even such a thing as language that can’t be misinterpreted?). The same argument applies to those scholars who edit out the most obviously Christian parts of the Testimonium and find the remainder “too restrained” to be the work of a Christian. The fact that a Christian uses the language to describe Christ elsewhere shows that it’s not “too restrained” for a Christian to use to describe Christ. 3) Eusebius, like other Greek writers, recognized both good and bad forms of pleasure. He praises Christian Martyrs who received death with pleasure in the Martyrs of Palestine 6.6 and In Praise of Constantine 17.11 and describes the happy state of the righteous in the afterlife who rejoice in pleasure in the divine presence in his comment on Psalm 67 (PG 23, 684). Additionally, the term “teacher of human beings” (didaskalos anthrōpōn, with the peculiar placement of the recipients of the teaching in the genitive) is not found in Josephus’ works outside the Testimonium, but is used to describe Christ elsewhere in Eusebius’ Demonstratio (3.6.27; 9.11.3). The theme that the Christ was sent into the world to teach the truth about the One God to all human beings willing to receive it is the central point in Eusebius’ theology of the incarnation (see especially Praeperatio Evangelica 1.1.6-8). Previously Christ, the Logos of God, had taught this truth, consisting of the knowledge of the One God and reverence for him alone, among the pre-Mosaic Hebrew nation. Later, through Moses and the prophets, the Logos had also taught their descendants the Jews about the One God, but his teaching was in the form of the types and symbols of the Mosaic law, which most of them were able to understand only in the material, rather than the spiritual, sense. Finally, as the prophets foretold, Christ became incarnate as the man Jesus to re-teach the earlier true religion to all nations (for a concise discussion of Eusebius’ Christology, see Frances M. Young, From Nicaea to Chalcedon 2nd edition 2010, 1-24, especially 10-11). 4) Van Voorst’s claim concerning “anyone remotely familiar with the Gospel tradition” seems to presuppose that all ancient Christians read the Gospels the way modern historical critics do. In fact, in many cases there was a tendency for later Christians to increase Jesus’ contact with Gentiles during his ministry (see Walter Bauer, Das Leben Jesu, 1909, 344-345). In the Demonstratio, Eusebius says that the fact that Jesus brought under his power myriads of both Jews and Gentiles can be established both from the witness of his disciples and apart from it (3.5.109), that he freed all who came to him from the polytheistic error (4.10.14), and that he revealed the power of his divinity to all equally whether Greeks or Jews (8.2.109). In retelling the story of King Abgar in the Ecclesiastical History, Eusebius says that Jesus miraculous’ powers became so well known that myriads from foreign lands far remote from Judea were led to him seeking healing (1.13.1). To be sure, Eusebius also says that Jesus sent his disciples to all the nations after his resurrection, but this does not negate what he says about Jesus himself attracting Gentiles during his ministry. 5) Van Voorst’s claim that the sentence is characteristically Josephan is unusual in scholarship on the issue and is not discussed further or footnoted. Most commentators have found the fact that it is not clearly stated what Jesus adherents ceased to do, but leaves the reader to infer it from context, is unusual in Josephus. (To be fair, it’s probably unusual in most writers, including Eusebius). Van Voorst’s second claim that the passage makes the love of Jesus followers rather than Jesus’ resurrection appearances the reason for the continuation of his following is based on an incomplete reading of the text that sets up a false dichotomy. The Testimonium explicitly gives Jesus’ resurrection appearance as the reason for his followers not ceasing in their “love” (or “adherence”). This is a Eusebian argument. Eusebius elsewhere ranks Christ’s desire to give his followers visual proof of life after death so that they would continue in and spread his teaching as one of the major reasons for the resurrection (Demonstratio 4.12). 6) As Van Voorst himself notes (p. 90 n. 39): ‘the exception that proves the rule is Eusebius, Ecclesiastical History 3.3.3, “the Christian tribe.”’ In fact, Eusebius uses ethnic terms (including genos, laos and ethnos) and concepts in describing Christianity (see especially the discussion in Aaron Johnson, Ethnicity and Argument in Eusebius’ Praeperatio Evangelica, 2006). In summary, the six arguments against Christian authorship of some elements of the Testimonium that Van Voorst has culled from the scholarly literature do not hold with respect to Eusebius. At the very least, this should remind us to be wary of arguments from authority. The fact that one or more scholars has endorsed a particular argument does not mean it is sound. Even if one were to reject the overall conclusion that Eusebius wrote the text, it would not change the fact that these six arguments are based on false premises about what a Christian writer would or would not have written. Arguments about what a generic Christian writer is likely to have done always need to be checked against the actual practices of real Christian authors. Louis H. Feldman, “On the Authenticity of the Testimonium Flavianum Attributed to Josephus,” in New Perspectives on Jewish Christian Relations, edited by Elisheva Carlebach and Jacob J. Schechter (Leiden: Brill, 2012) 14-30. John P. Meier, A Marginal Jew: Reconsidering the Historical Jesus (New York; Doubleday, 1991) 59-69. K. A. Olson, “Eusebius and the Testimonium Flavianum,” Catholic Biblical Quarterly 61 (1999) 305-322. Ken Olson, “A Eusebian Reading of the Testimonium Flavianum,” in Eusebius of Caesarea: Tradition and Innovations, edited by Aaron Johnson and Jeremy Schott (Hellenic Studies 60; Cambridge, MA: Harvard University Press/Center for Hellenic Studies, 2013) 97-114. James Carleton Paget, “Some Observations on Josephus and Christianity,” Journal of Theological Studies 52.2 (2001) 539-624. Robert Van Voorst, Jesus Outside the New Testament (Grand Rapids, MI: Eerdmans, 2000). Alice Whealey, “Josephus, Eusebius of Caesarea, and the Testimonium Flavianum” in Josephus und das Neue Testament, edited by Christoph Böttrich and Jens Herzer (Tübingen: Mohr Siebeck, 2007) 73-116. More recently, Origen, Eusebius, and the Accidental Interpolation in Josephus, Jewish Antiquities 20.200.” Journal of Early Christian Studies 20.4 (Winter 2012): 489-514; Carrier takes the whole TF to task and argues, convincingly in my opinion, that it is an accidental scribal interpolation (not purposeful, as some would argue)--something that commonly occurred in antiquity. Indeed so. There are other examples of corruption of the text of Josephus in the middle ages. I know that some will be unclear on this, so it bears repetition. But the mechanism for these things is very simple. If you are a scribe, and you accidentally skip a few lines while copying, then what do you do? The answer is that you place them in the margin with an insertion symbol. If you are reading a manuscript, and you want to add a comment, what do you do? The answer is that you place it in the margin. The next copyist of the manuscript will see the marginal material, and will probably copy it. If he believes that it is a gloss, it will stay in the margin. If he believes that it is an omitted passage, he will probably insert it into the body of the text. This is most likely the route whereby the Testimonium Flavianum made its way into the text of one family of the manuscripts of the Jewish War (where it certainly does not belong). Such views are not based on anything in the evidence, because, in the absence of a positive statement by an ancient author, it will always be possible for an interpolation (if the TF is one) to occur by a variety of means, nearly all of them innocent. Arguments about linguistic fingerprints tend to assume perfect preservation of a text -- surely a rather curious argument in the context of a discussion about damage? -- and rarely check for false positives. Eusebius had no need to forge material. He did tend to uncritically quote material which was in fact bogus, and to leave his assistants to look it up and paste it into his works (a task he perhaps performed in turn for his own master, Pamphilus) even when the quote did not actually fit his context. The question is whether a Christian in the 1st or 2nd century would have used this language. The fact that Eusebius used similar phrases in the 4th century does not mean he authored them. You're assuming that we have copies of Josephus that do not come from Origen's library in Caesarea. I confess that I've taken for granted that it seems to be the consensus that there is an authentic core of this saying that goes back to Josephus himself, but this post has made me question that assumption. Ken, thanks for this interesting post! 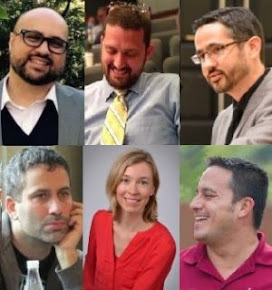 I confess my guilt in being one of the people who have simply repeated scholarly consensus in publication! You've given us much to ponder. All that oversight is good for your PhD, though! Ken, this is a terrific post. I sit at your feet. Let me clarify my criticism of Aslan. I have no problem with Aslan concluding that Josephus did not write the Testimonium Flavianum. As I tried to indicate, this is a respectable opinion (as you've made clear). I don't even object to Aslan stating his opinion without offering up a reasoned defense. Aslan's book covers a lot of ground in a short time, and he could not be expected to pause to defend every opinion he stated. My objection to Aslan is that he states his undefended opinions not just as facts, but as generally accepted facts. There are some reputable scholars out there who think that Josephus wrote part of the Testimonium Flavianum (or am I wrong, and has the scholarly opinion turned against the Testimonium in recent years?). You wouldn't know this from Aslan. When Aslan writes that "scholarly attempts to cull through the passage for some sliver of information have proven futile", readers might think that the scholars who have done the culling had themselves concluded that the effort was futile. Or that the scholarly culling effort has been universally panned. I could paraphrase Aslan's language to describe alchemy: "attempts to turn lead into gold have proven futile." Or: "attempts to generate 'cold' nuclear fusion at room temperature have proven futile." I think when Aslan says "proven futile", he's saying something more than that HE considers these efforts futile. "Proven futile" is a strong statement, and I just can't read an implied "in my humble opinion" into that statement. If I'm overreacting, I think it's a forgivable overreaction, given the amount of hyperbole in Aslan's book. In any event, my reaction prompted your guest post, and I'm happy for that. "Jesus was a doer of strange deeds, and a deluder of the simple-minded. He led astray many Jews and Greeks." I suspect your conclusion is compatible with the finding of G.J. Goldberg, “The Coincidences of the Testimonium of Josephus and the Emmaus Narrative of Luke,” in the Journal for the Study of the Pseudepigrapha (vol. 13, 1995), pp. 59-77, which shows the TF was cribbed from Luke's Emmaus narrative (twenty points of similarity, only one of which is out of parallel order). I think that combined with your evidence of Eusebian authorship pretty much does in any attempt to retain authenticity for the TF (even besides all the other reasons to doubt it). I must correct Tom Verenna (first comment above). My article (Richard Carrier, "Origen, Eusebius, and the Accidental Interpolation in Josephus, Jewish Antiquities 20.200” in the Journal of Early Christian Studies 20.4 [Winter 2012]: 489-514) demonstrates that the James passage (in book 20) has suffered an accidental interpolation (it was originally about James the son of Damneus, not James the brother of Christ), not that the TF did (which is in book 18). I do remark in that article some reasons for rejecting the TF as an intentional interpolation, however (including an argument against Whealey's attempt to defend it that complements Olson's). So Olson's findings of late corroborate mine. I think I need a clarification. Olson states: "In his 2012 review article on the Testimonium, Feldman comes to the conclusion that Eusebius is likely to be the author of the extant text". Then he quotes Feldman: "Eusebius [..] may well have interpolated such a statement as that which is found in the Testimonium Flavianum". It seems to me that "interpolation" is different than "authorship" or "fabrication", cause it presupposes an existing text to manipulate..
Good question. The short answer is I'm not certain, which is why I used the term “extant text.” Feldman may mean that Eusebius interpolated the Testimonium into the Antiquities. On page 27 he writes: “it must have greatly disturbed him [Eusebius] that no one before him, among so many Christian writers, had formulated even a thumbnail sketch of the life and achievements of Jesus. Consequently, he may have been motivated to originate the Testimonium,” which sounds to me at least like he’s talking about complete interpolation, but whether this is what he meant or how strong a possibility or likelihood he wants to make it I can’t say. I tried emailing Dr. Feldman on this point a while back but never got a reply. I don’t know if he ever got my question. I would, of course, encourage those curious about what Dr. Feldman wrote to read the paper themselves. Excellent piece of work, Ken. Could you address the second reference to Jesus in Josephus, Ant. 20.9.1? Do you also consider that a Eusebian interpolation? A historian, Josephus, includes the Testimonium Flavianum. Josephus who lived in Galilee would have had access to adults who lived in Galilee from 30-33 Common Era when the biblical Jesus is ministering. Josephus' account is important. Second, Josephus would also be aware of the oral tradition about the biblical Jesus after his death. What's more important than Josephus using Luke as a source (Richard Carrier) but Josephus using as sources the actual events as reported by witnesses in Galilee and oral traditions (after he left Galilee) about Jesus' life before, at, and after crucifixion. Now, if Luke didn't write these accounts down until more than 30 years later, Luke is not as important a historical source as the historian who spent time in both Galilee and Jerusalem. Josephus says he was condemned to the cross but appeared to those who loved him. Jesus is known to have been a great healer. The Talmud claims he went to Egypt to learn magical healing. Josephus does not say he appeared to his enemies. Jesus did not present himself to the priests. Is this line of the TF plausible? Yes, it is. The dead are alive and they communicate with us. Yes, there is a book by that name. The dead have been recorded, photographed, reincarnated, and they make birds move so mourners can see hope in a bird. They make us sense them (the departed). I have what I believe is a reasonable doubt that Ken Olson is correct. Peter Schafer in his book, Jesus in the Talmud, says given the references to Jesus in his book. 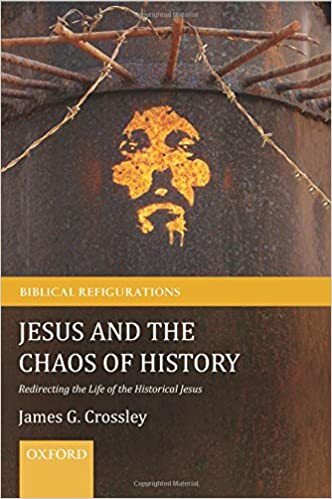 These references do not establish Jesus as a historical person. I have reasonable doubts about that, but going further, when a Schafer leaves out two important references to Jesus, readers' reasonable doubts increase, and the TF seems more legit than without considering one of the two references. Schafer misleads people into thinking he's covered all the references to Jesus in the Talmud, but he fails to mention Babylonian Talmud, Tractate Sanhedrin 105a. This should have been added to his coverage of Jesus and Ancient Egyptian magic/sorcery. Ancient Egyptian creation myths are related to Sanhedrin 105a. Here, Balaam is Jesus because after reading Numbers chapters 22-24, it would not be the Balaam of the Torah who was practicing Egyptian sorcery but Jesus. An Egyptological perspective factors into an accurate concept of Jesus. One book that covers this subject is Insights on the Exodus, King David, and Jesus: The Greatest Bible Study in Historical Accuracy: The Hebrew and Christian Bibles, The Koran, and The Book of Mormon. This book of personal essays is authored by me. My pen is Steefen. Rabbi Lakish is referring to resurrection when it is written "makes himself alive." Lion is a reference to Judah and the God of Judah. The God of Judah tried to redeem his people via Jesus, the Redeemer. He was rejected. Who is the lioness. We look to the story of the Redeemer in the New Testament; and, that person is Jesus' mother, who was impregnated by God. Rabbi Zakkai was a contemporary of Josephus. Vespasian gave Rabbi Zakkai Yavne University; and, Rabbi Zakkai proclaims the Christian story. Josephus, also a rabbi, is given plains outside of Jerusalem as well; and Josephus gives us the TF. A university founder and president testifies support for the Christian story and so does a historian. We have a set of witnesses. I reasonably doubt one piece of the set can be discredited as unauthentic. An interesting essay that shows the literary parallels between the TF and other passages in the works of Josephus that recount the careers of frauds and violent men. The TF does not adhere to the structure of the other stories, suggesting that it was written by someone attempting to imitate Josephus writing style. Has anybody ever paid much attention to the text before and after the Testimonium and noticed that it is modeled on a text of Tacitus, Annals 13.43-44? Notice the dynamics of the story in 44 and the mention of the name "Saturninus" just previously in 43. It's like somebody was making stuff up and had Tacitus open before them and were inspired to use that name and particular tale just before the "Oh, the Jews were kicked out of Rome" routine. While I'm at it, has anybody else ever noticed how many events of Josephus' life are like stage-sets for gospel stories? How he ends his auto-bio with the bit about three friends on crosses that were taken down, two died and one lived? Also, Josephus seems to be projecting in his accusations against Justus of Tiberius using rhetorical techniques to take over people's minds; Josephus sure did it. Has anybody ever compared the Greek of the oldest versions of Mark to the Greek of "Antiquities" (which was more "rustic" than "Jewish War")? Josephus was known to use Homeric inspiration and MacDonald's book on the influence of Homer found in the NT is a slam-dunk IMO. Maybe Josephus was involved in that? Finally, if you read Syme's two-volumes on Tacitus, and then compare Dio Cassius and Pliny to Tacitus, you can only conclude that the story of Nero blaming Christians for the fire and initiating a persecution was an interpolation that was "set up" to be supported by Suetonius mention of Jews being kicked out during the reign of Tiberius. Well, that's just my two cents.